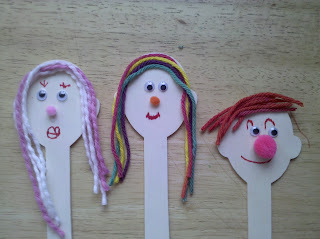 We made stick puppet faces this week and had a blast! 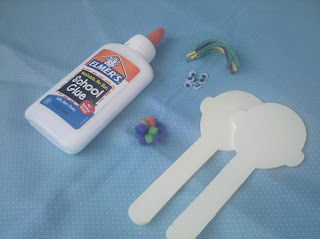 Glue - regular school glue works great! I prepped all the pieces before the kids got involved. We then took our stick puppets and put on our very own puppet show. There was much silliness involved and it was so much fun! I love this idea, but I think we can use our popsicle sticks that we end up with after our sweet treats, trace then cut out circles for the faces. :) Love it... Thanks for sharing! Thanks for sharing ... they turned otu very cute!